Posted in: Health, Utility. Tagged: carb counting, carbs, diabetes, keto, weight. 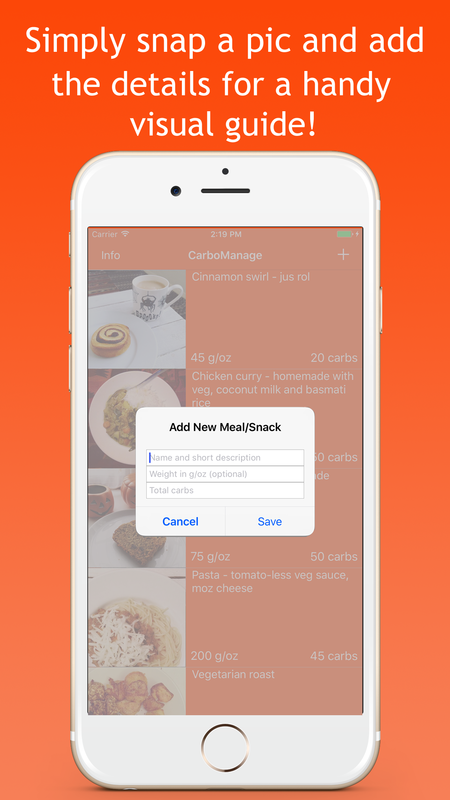 An aide mémoire to help keep track of the carbs in your favourite meals and snacks. A simple visual reminder of quantities and their associated carbs. 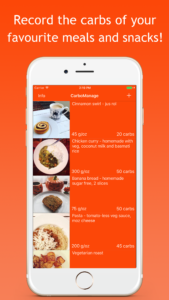 Stop re-counting the carbs of your favourite home cooked meals, simply count them once then record them for future reference. Here together in one handy app for easy reference. Good for diabetics or anyone who counts carbs! Posted in: Health, Utility. 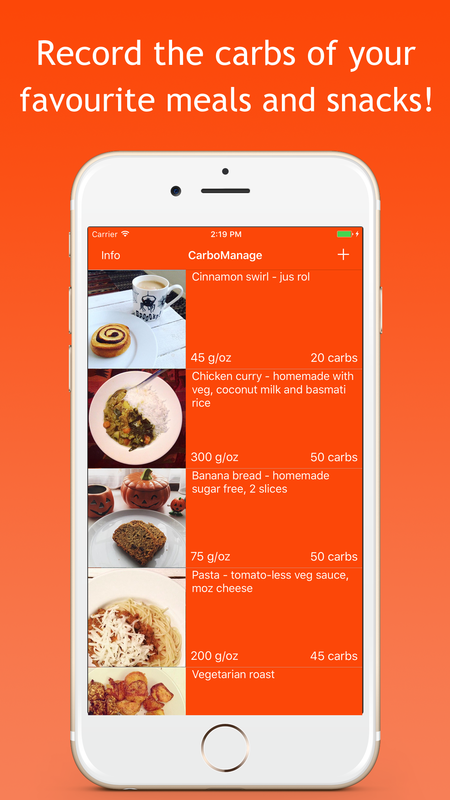 Tagged: carbs, diabetes, insulin, ios, iPhone app, timer, type 1. Knowing what your blood sugar levels are often isn’t enough. You need to know where you are in your insulin cycle to be able to accurately adjust your carb and fast acting insulin intake. 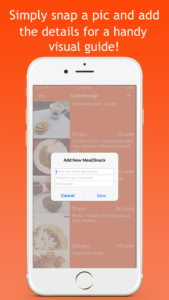 Insulin Cycle Tracker takes care of that for you. Keeping your blood sugar levels under control is the key to long term health for a type 1 diabetic. With this new insulin tracker you now have a way to keep track of where you are in your insulin cycle. With gentle reminders of what action you may need to take to maintain good health and better blood sugar levels. 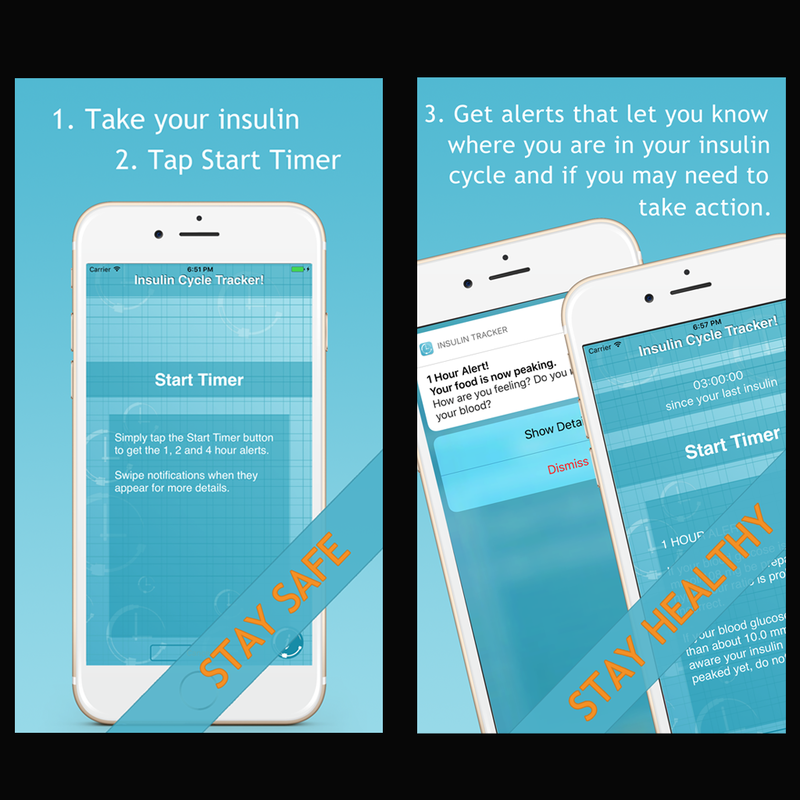 Simply take your insulin and hit the Start Timer button to begin getting notifications that tell you exactly where you are in your insulin cycle. One less thing to worry about. Peace of mind so you can get on with your day. Handy countdown timer so you know exactly when your last insulin dose was taken. Three notifications, at 1, 2 and 4 hours, to remind you where you are in your insulin cycle and if you need to take action. Please note: This app uses timing for Novolog/Novorapid fast acting insulin with a life cycle of approximately 4 hours and is for guidance only and should not be construed as medical advice.